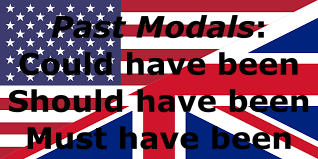 Hoy vamos a aprender la diferencia entre estos tres past modals: could have been, should have been y must have been. Como ya sabéis, "been" es intercambiable por el past participle que necesitemos. He elegido estos tres porque creo que son los que se usan con más frecuencia y en muchos casos causan confusión. Tras la explicación y algunos ejemplos no habrá más dudas porque sus diferencias no entrañan gran dificultad. I could have been run over by a car. If you had studied you could have passed the exam. 2) Should have been se refiere a algo que debería haber hecho, pero no hice. Es una recomendación sobre algo que ya pasó. You should have bought a bigger car. My sister should have choosen a different dress. They must have had a great holidays in New York. It must have been a difficult situation. *you o cualquier otro sujeto. She must have left home by 5:30. The driving test should have been easier. She could have been a professional player. He must have done the homework. They could have called me after the party. We should have sent an email before the deadline. You could have helped them. They must have arrived after the storm. My friends should have waited for me until midnight.